Chaos Ink is a custom screen-printer, which means we screen print your ideas (and our ideas) on T-shirts, hoodies, hats and more. Every day, our presses are turning out high-quality T-shirt prints for contractors, restaurants, sports teams, garage bands, outfitters, museums, gift shops and retailers throughout northwest Colorado and beyond. Our expertise and state-of-the-art equipment allow us to be more efficient, offering high quality and great prices. This year alone, we've printed jobs as small as one shirt and lengthy production runs of more than 7,000 prints. 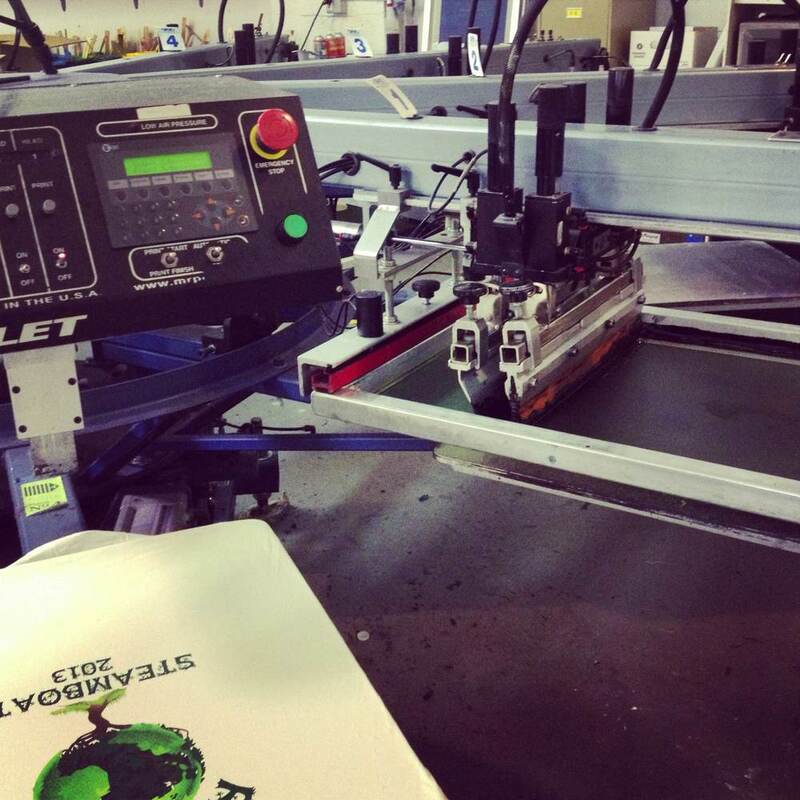 Our production capacity ranges from simple one-color block athletic prints to full-color artwork reproductions. Check out some of our huge selection in our online catalog.